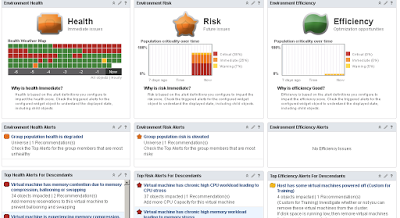 I have already dedicated an article about vROPS earlier which talks about 10 Things we need to know about vROPS which talks about how vRealize Operations Manager helps us in troubleshooting by collecting performance data from each object from the inventory and provides us with real time information about Health, Risk and Efficiency. 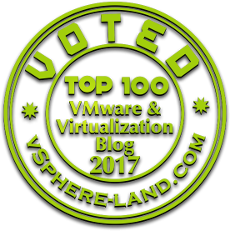 Dedicated this article to talk about what's new with vROPS 6.5 which was announced by VMware on 02 March 2017 and there has been significant improvements which has further enhanced scalability limits and troubleshooting capabilities. vRealize operations manager is available as Virtual Appliance or RHEL installation package can also be used for the deployment, means no more windows based installation vROPS 6.4 was the final version which supports it. Additional monitoring capabilities in vRealize Operations Manager 6.5 helps us to monitor large environments with same footprint also the new Endpoint Operations Agent upgrade bundle allows you to automatically upgrade the agent through the vRealize Operations Manager user interface. vROPS6.5 also understand the Private Cloud costs and Public Cloud spends by accessing vRealize Business for Cloud from within vRealize Operations Manager. For Sizing your vROPS 6.5 VMware offers Extra Small 2vCPU 8GB Memory ,Small 4vCPU 16GB Memory, Medium 8vCPU 32 GB Memory, Large 16vCPU 48GB Memory, and Extra Large 24vCPU 128 GB Memory configurations during installation for detailed information about sizing refer KB article vRealize Operations Manager Sizing Guidelines (2093783). While upgrading from an older version of vRealize Operations Manager i.e 6.0.x or 6.1 we must follow a two step upgrade i.e first upgrading it to vROPS 6.3 and then finally upgrading it to vROPS 6.5, moreover if we are using vROPS 6.4,6.3,6.2,6.2.1 we can straightaway upgrade it to vROPS6.5 also existing operating system instance (OSI) based licensing remains unchanged however vRealize operations Standard Edition is also available on a per CPU basis.